"Very Cherry" was inspired by several different farms and cherry orchards on both Kroupa Road and Center Road on Old Mission Peninsula north of Traverse City, Michigan. 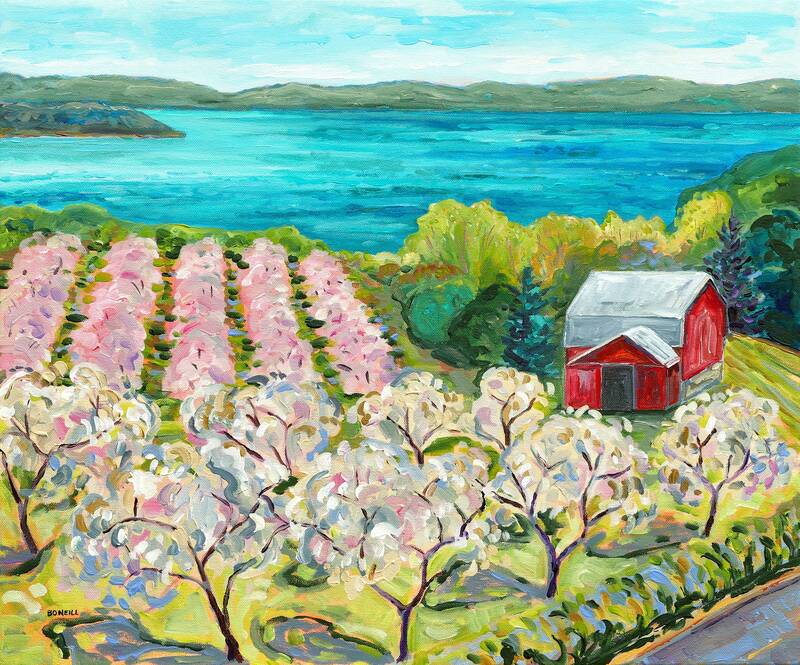 Bright red barns set on the bay surrounded by green and pink trees with aqua-blue waters as the backdrop. This has to be one of my favorite Michigan scenes! Your choice of a high quality giclee on fine art paper or gallery wrapped canvas. More sizes available upon request! All prints ship for free in the USA.